First impressions matter. At Real Estate Photo Pros, we know how important it is for both buyers and real estate agents to be aware of curb appeal. Whether you want to improve your own property or need ideas to help you improve a client’s property, you don’t have to look far to find great ideas! 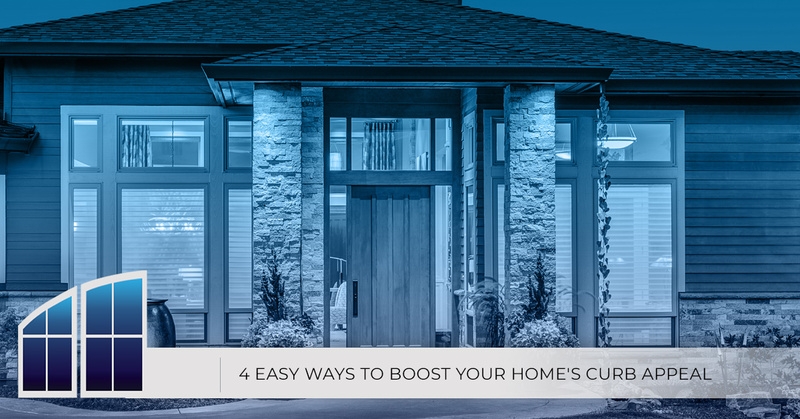 In today’s post, we’ll provide you with information about four easy ways to improve your home’s curb appeal. When you’ve finished reading today’s entry, be sure to get in touch with our Colorado real estate photographers to learn more about our services. From standard real estate photos to aerial photography and virtual real estate tours, we do it all! The front door is typically the focal point of every property. It’s one of the first things that buyers will see when they click on your listing, and of course, they’ll be closely inspecting it when they arrive for the in-person tour. Check the front door for scratches, scuffs, and other signs of wear and tear that could make potential buyers wary. The Colorado weather can be harsh and dynamic throughout the year, and a fresh coat of paint might be just what the property needs to stand out from the local competition. You don’t necessarily have to spring for a bright, vibrant color to make a statement, either. Sometimes, a new coat of paint that nicely accents the home’s siding and trim is enough to create an aesthetically pleasing and welcoming entryway. Our Colorado real estate photographers will be sure to frame the entire area perfectly when they arrive! Symmetrical designs are not only aesthetically pleasing, but they’re also very easy to create. If you want to entice buyers to not only spend more time looking at your listing, but also be more likely to reach out for an in-person tour, then make sure that the front porch is composed in a symmetrical way. For example, try flanking the door with identical bushes, lighting, and even furniture. You can also place landscape lighting to frame the walk up to the entryway, just in case someone shows up for an in-person tour in the evening. Creating an outdoor garden is one of the easiest ways to make a property look more appealing. You can purchase premade flower beds to hang from the front porch, or you can incorporate potted plants and flowers into a symmetrical design that enhances the entire exterior. We’re currently in the midst of winter, so this tip is obviously more effective later in the year. That being said, you can always purchase succulents, potted plants, and flowers to make the interior even more appealing during the cold season! You’ve almost certainly heard about the importance of natural light in a property, but you shouldn’t forget about the exterior! Many buyers will be touring your home later in the day, and the last thing you want is for them to have a difficult time finding the property. Moreover, just as a well-lit interior is both welcoming and aesthetically pleasing, a well-lit exterior creates a sense of security while also allowing you to selectively feature certain areas of the property. Contact Our Colorado Real Estate Photography Experts! We hope that today’s entry will provide you with the inspiration you need to improve your property’s curb appeal. 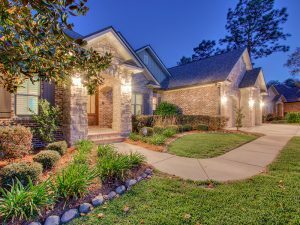 Our professional real estate photographers are here to help you show potential buyers just how amazing your property is, so don’t wait to contact Real Estate Photo Pros for a consultation!